Help Us Stir Up a Cure for Cancer and Cystic Fibrosis! 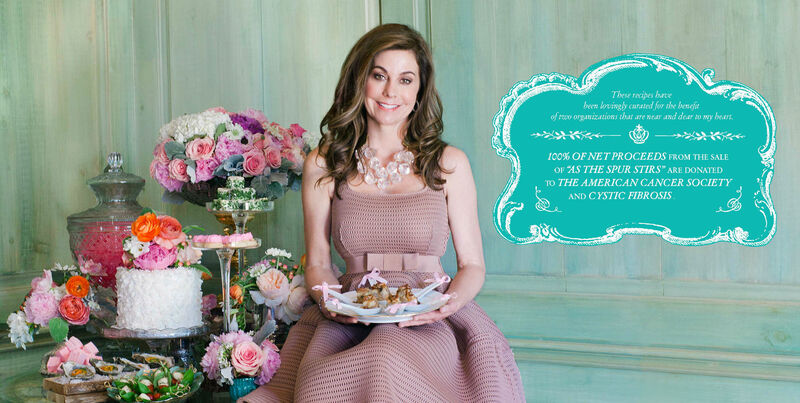 This 272-page cookbook is a collection of 450 recipes that Jacqueline Cavender gathered over the years from her mother and mother-in-law’s kitchens as well as from inside the cupboards of close friends and celebrity supporters. As The Spur Stirs brings together a group of people from all walks of life for one purpose: To help stir up a cure for cancer and cystic fibrosis. 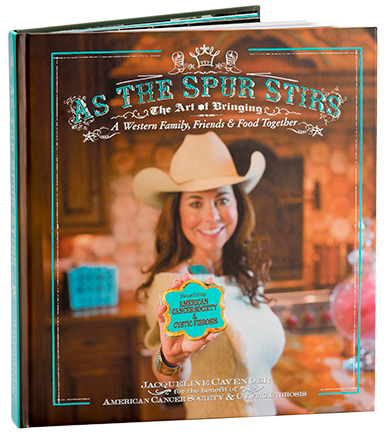 100% of net proceeds from the sale of “As The Spur Stirs” are donated to the American Cancer Society and cystic fibrosis research. The women that spurred me on to the finish line include: Susan Davis, Beth Gammel, Debbie Roosth and Veronica Terres. With my dearest friends by my side and my mother’s words of wisdom guiding me on this journey, I have come to learn that As The Spur Stirs is, ultimately, a collection of recipes that, in some shape or form, tell a story of love, laughter, legacy, and life. We love the dishes we chose to include in As The Spur Stirs, but don’t just take our word for it. Copyright © 2015 As The Spur Stirs. All rights reserved.